Gait freezing and falls are common among people with Parkinson’s disease (PD). Take a closer look at patients’ experiences, common triggers of freezing and tips that may help prevent falls. What is known about freezing and falls? Researchers and movement experts have been studying gait freezing in people with PD for several decades. The exact cause of freezing is unknown, but experts believe it’s caused by PD’s effects on parts of the brain that control motor movement, such as the basal ganglia or part of the right side of the brain. Visual cues — Giving yourself a visual hint may help your brain (and feet) know where to step, according to movement disorder specialists at the University of Florida Health. Visual cues include lasers on canes and U-step walkers, placing lines of tape on the floor, and stepping over the foot of another person . Some Dutch researchers are even working on laser sneakers for people with PD. Auditory cues — Listening to music, counting out loud (like “1, 2, 3… 1, 2, 3…”) or using a metronome (or metronome app) can give your brain and body a rhythm to step to (check out this blog post about how Pamela Quinn, a professional dancer with PD, uses auditory cues to walk). Practicing pivoting or changing direction — Check out this video, for example. Check out these additional fall prevention tips — take note of potential household hazards, such as electrical cords, throw rugs or clutter on the floor. Talk with your doctor about any freezing or falls you’ve experienced.Besides freezing, other factors that may cause falls include delayed reaction time, rigidity, bradykinesia, poor balance and even dehydration. Taking your medication on time and working with your doctor to reduce “off” times is also important in preventing freezing. See what members are saying in hundreds of symptom reports about gait freezing and balance problems. Check out this forum discussion about freezing and falls and what members do to try to avoid freezing, from stepping over objects to rocking from side to side when they freeze. Learn more about members’ experiences with “ons” and “offs” with their PD medication. Connect with thousands of others living with Parkinson’s disease. 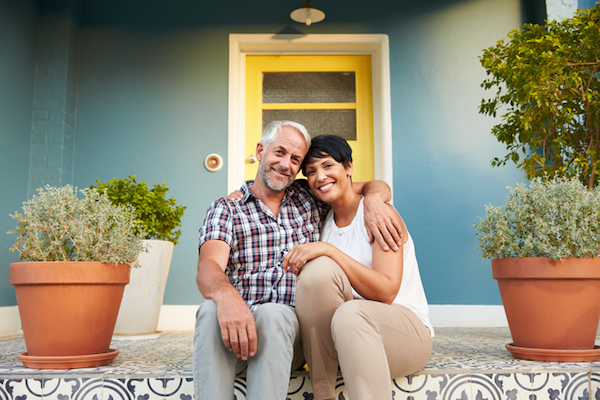 June is National Home Safety Month and there’s a buzz around “aging in place,” so we’ve gathered tips and products that can help today’s (stylish) older adults avoid falls and live well at home for years to come. Falls are a growing problem when it comes to home safety, as many older adults opt to live independently at home for as long as possible. Because falls can cause severe injury and loss of independence, the CDC encourages you to talk openly with your healthcare provider(s) about them as soon as possible, even if you don’t get injured. They can do a screening on your future fall risk and help address balance or vision problems, medication side effects and other factors. Preventing falls isn’t the only way you can make your house more safe. It may be worth considering installing something like a home security camera in order to deter any burglars or criminals in your area. Add grab bars inside and outside of your tub or shower and next to the toilet. The New York Times recently published an interview with Linda Shrager, the author of a new book called “Age in Place” and an occupational therapist with almost 40 years of experience. Industrial and practical home design (complete with dark or shiny metal touches) is en vogue, and you can find more stylish grab bars in more styles and colors these days — so your home doesn’t have to look like a hospital. Interior design shows like HGTV’s Fixer Upper and TLC’s Nate and Jeremiah By Design have featured home modifications, such as this schoolhouse-inspired bathroom for two brothers in wheelchairs and this chic bathroom with a walk-in tub and built-in step stool for a family of little people. People have created Pinterest boards full of ideas on everything from attractive wheelchair ramps to painted or stenciled floors (a neat alternative to throw rugs — a trip hazard). New wearable technology and “smart home”/voice-activated products are coming out all the time, so there are several safety devices that actually look attractive (many resembling jewelry). Home modifications can get pricy, so check out this list of grants and resources from Home Advisor. Have you had a fall lately? Any questions, thoughts or tips on home safety you’d like to chat about with the community? Join PatientsLikeMe and this forum discussion today!